JMK CELLARS A Unit of JMK TRADING LLC (UAE) is a concept of liquor hypermarket in Ras al khaimah (UAE) with the largest varieties of alcohol beverages in the Middle East.We are emerging as one of the largest liquor retailers in the middle east and striving to provide our customers an experience never to be forgotten. 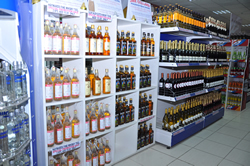 Our Success has been driven by our aged old customer relationship,decade long experience and our spirits varieties. 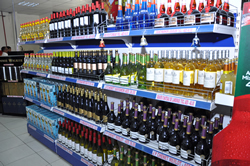 Our store has the largest varities of wines,spirits and champagnes in the middle east with a 5 star retail shop providing best service at the best price that our customers never forget. We are constantly evolving the liquor industry and providing our customers with ultimate satisfaction. 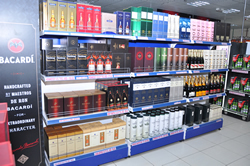 Our Goal is to the Ultimate liquor destination providing best varities at best price. Our aim is to win our customers hearts with the largest variety in the world and be the leading name in the liquor retail sector. 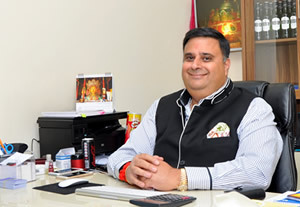 Our vision is to revolutionize the liquor retail sector in middle east with liquor hypermarkets across the nation, providing all kinds of varieties and becoming the ultimate liquor destination.Our vision is guided by Mr. Dan M Mathews Our General Manager who has an experience of more than two decade in liquor industry and whose expertise has guided us to be a prominent leader in the retail sector. © 2014 , JMK CELLARS. ALL RIGHTS RESERVED.